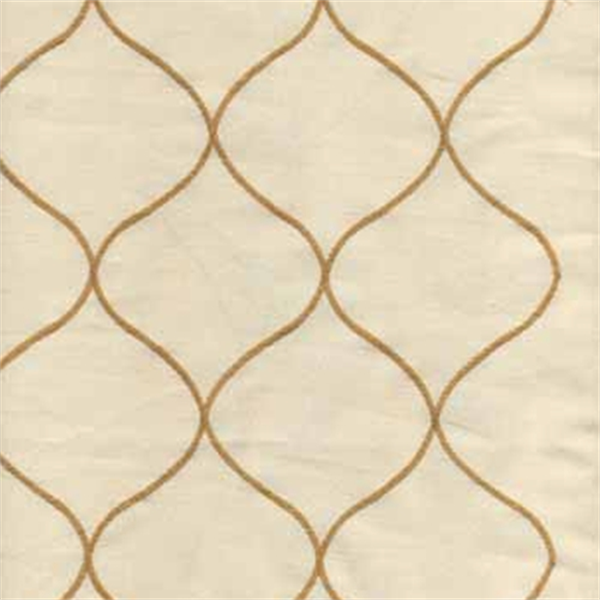 This is a beautiful cream and gold diamond fence embroidered faux silk drapery fabric. 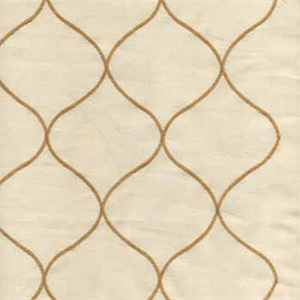 Ideal as decorative pillows, drapery fabric, curtain fabric, bedding fabric. Fabric suitable for many home decorating applications. Dry cleaning recommended. Repeat: V. 3.75 in H. 3.25 in.